PETALING JAYA: DAP’s Charles Santiago has urged the government to up the pressure on Myanmar to change its domestic policy to tackle the problem of Ronhingya refugees fleeing to Malaysia. The Klang MP, who chairs intervention force Asean Parliamentarians for Human Rights, said without pressure on Myanmar, there would be no end to the influx of refugees to other countries. “The problem is not only for Malaysia, which received many refugees over the years. The same goes for Thailand as well. “The problem comes from political persecution – they lose their livelihoods and they fear for their lives,” he told FMT. Defence Minister Mohamad Sabu recently said Myanmar could not regard the Rohingya issue as merely a domestic problem as Malaysia was also receiving the spillover effect. 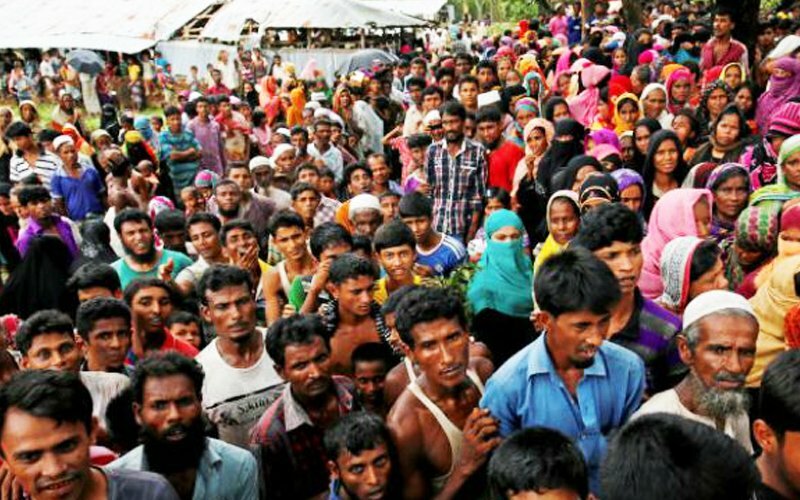 He said Malaysia could not afford to bear the burden of so many refugees, adding that there were currently more than 100,000 Rohingya refugees in the country, not all of whom were registered with the United Nations High Commissioner for Refugees. In order to tackle the problem, Santiago suggested that Malaysia seek cooperation with other countries such as Japan and China to put pressure on the Myanmar government. “If Malaysia is doing it alone, it will not go very far,” he said. He also called for a worldwide embargo on arms against Myanmar as part of efforts to stop its military from continuing what he labelled as “ethnic cleansing”. Activist Tengku Emma Zuriana meanwhile urged the government to help refugees as far as it was able as they had no where to go after fleeing their country. She added that much of the assistance given to these refugees was from members of the public, not necessarily the government. It was reported yesterday that the repatriation of Rohingya refugees to Rakhine would likely be implemented by next year. Foreign Minister Saifuddin Abdullah said a special task force would go to Myanmar to discuss the quickest way to help the Rohingya community return to their country. “We do not know how fast this process can be implemented, but it should be initiated because as long as it does not start, the problem involving the Rohingya refugees will persist,” he said.